Fiddlesticks has partnered with Tea for an in-store only event. 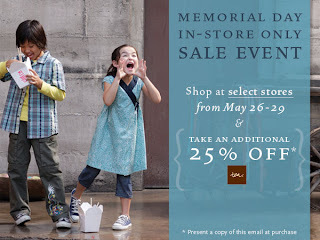 We will be taking an ADDITIONAL 25% off all Tea clothing through this Saturday!!! Happy Memorial Day! and safe travels no matter where your destination is this weekend.